Yesterday morning, a social media giant was down. For a few hours, Facebook users encountered frustrating times when trying to log into their accounts. "Sorry, something went wrong" has become the bane of many people. For some, they continue to try "facebook.com" in the hope that maybe the problem was their own Internet connection. For others, they fled to the other social media titan "Twitter" to update their statuses. I was one of the latter ,who used Twitter to check on the status of Facebook. Ironically isn't it? Welcome to a new way of using Company A to check on Company B! [Ash@Infamous_PR] "It's official, society has finally lost it! 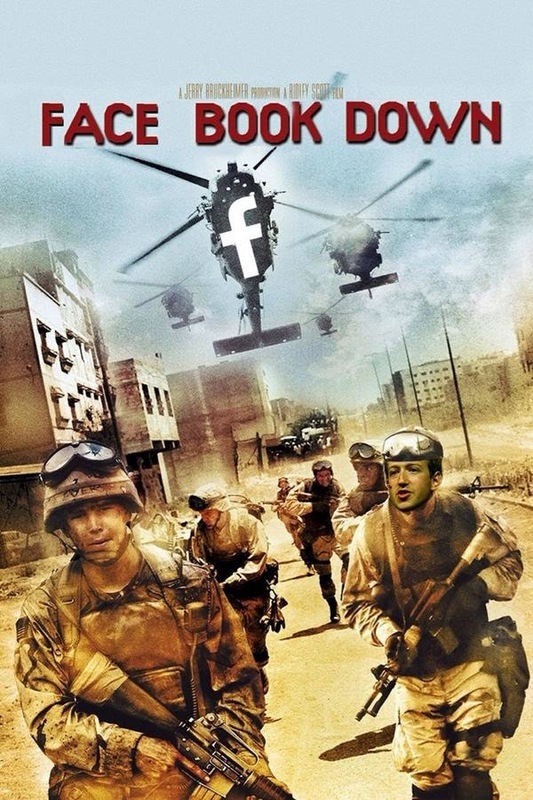 Facebook goes down for 19 mins & FB users act like the world is going to end!#facebookdown"
[Bizarre Lazar @BizarLazar] "Facebook went down this morning, marking the first time in five years some people actually saw their family." One user tweeted the following picture (on the right) that pokes fun at the whole thing. I shared my own tweets too under my Twitter handle @yapdates. I moved from laughter (lol) toward sighs of incredulity (*facepalm*) as I watch how a Facebook outage appears like an end-of-the-world scenario. What has the world become? Calling an emergency hotline (911) just because one cannot post anything on Facebook? In a Gordon College study not too long ago, it was reported that the level of digital addiction is much higher and more sinister than we thought. The academics are not alone. Business studies researchers have also concurred that the levels of Facebook addiction are deeper than traditional addictions to alcohol and tobacco. One reports that "Resisting the urge to check social networking sites for updates is more difficult than turning down a drink." Another reports about the "cravings, anxiety attacks and depression when forced to abstain from using media." I call these a new form of PTSD: Post-Traumatic SocialMedia Disorder." Can you just send me a text? or WhatsApp? People used to make plans to hang out and chill at a nearby coffee house. While many still do, more and more are lazily taking to the social media platforms to hang out online via social messaging. Even Google has a plugin called "HangOuts" to capture this demand for users to make voice calls, videoconferencing, and eSocializing without having to leave their own residences. Some families living under the same roof prefer to DM/Facebook/Text one another instead of simply talking face to face. Gary Chapman and Arlene Pellicane recognize the problem of kids growing up in a social media world. They ask a simple question: "Is technology bringing your family closer together, or is it driving your family apart?" Ironical isn't it? Technology was once trumpeted as the solution to help connect the world. Yet, this very powerful advancement has instead led to a social division, diversion, and some may even say, social deterioration. If something has become so essential to communication, like Facebook and Twitter, that we cannot have a face to face talk without them, then we have a problem. We are free to Facebook. The trouble is, when Facebook is down, the social-media addict does not feel right. Freedom is something highly cherished in society. Our forefathers fought for it with their lives. Nations poured lots of money and resources into projects, initiatives, and even wars to make sure that they can be free indeed. In the Bible, freedom is one that stems from the Person of Jesus Christ. Like the way the Israelites were delivered from Egyptian slavery, we in Christ are delivered from the slavery of sin. Christ has declared that "So if the Son sets you free, you will be free indeed" (John 8:36). The Greek word "eleuthera" is used for liberty, freedom, and represents an unrestrained ability to make choices. Key to understanding this is by asking "freedom from what?" There is freedom from slavery to the Law. The context of Galatians 5 points to the usage of law to enslave our faith. Like the use of circumcision just to lock us into some ritual to demonstrate our faith. Worse, people use ritual as works to justify or to assure us about our salvation in Christ. More specifically, Paul is contrasting the differences between living in the flesh and living in the Spirit. The moment we try to use the Law to justify ourselves, we are obligated to use the entire Law, not just bits and pieces we like. Paul is trying to tell us that we will never be able to perfectly fulfill the entire Law. That is why we need the grace of God in Christ Jesus. There is freedom to manifest the fruit of the Spirit. We are thus free to choose, and Paul exhorts us to choose the things of the Spirit which are listed in Galatians 5:22-26 in contrast to the things of the flesh in Galatians 5:19-21. We are free and the worse we can ever do to ourselves is to choose to be enslaved to the flesh again. Will a dog return to its own vomit? Proverbs 26:11 reminds us what fools look like. "As a dog returns to its vomit, so fools repeat their folly." Peter adds to this by using the washed sow which returns to its mud (2 Peter 2:22). There is freedom to decide to use or NOT to use technology. We are free to use technology. Are we then able to recognize the point in which we are no longer free to use, but enslaved to a lack-of-use when rudely disconnected due to a social media outage? Are we guilty of indulging in our flesh when we become addicted to social media? There is freedom to let God work in us. In our fast-paced, solutions-driven economy, we pride ourselves in being able to get things done quickly and efficiently. If not, we try to make sure the solution is found as soon as possible. Bill Hull was chatting with a friend one day about how so many people call themselves Christians but are not disciples. The friend that replied: "What is the solution?" Before we attempt to change things outside, let the Spirit change us inside. Life happens outside only when something has already happened inside us. This core truth is what discipleship is about. The tendency for us to panic and become anxious over things happening outside is because we inside have not become secure in Christ. When we are spiritually free, we do not need to panic over the loss of an Internet connection or a website outage. When we are spiritually free, nothing will sway us. There is freedom to live with or without Facebook or social media. In our technological world, we are free to connect or to disconnect. Feel free not to let our emotions be too locked into an online connection that we become enslaved to it. Feel free to disconnect when necessary. Feel free not to be worked up. Feel free not to enter a state of Post-Traumatic SocialMedia Disorder. Do not let Facebook, Twitter, or any other social media resource dominate our lives. They are just a part of our world. Do not make them a whole for they can never fill the spiritual hole in our hearts. For we have a God-shaped vacuum that only God can fill. There is freedom to do things at God's pace. In a 24x7, non-stop Internet connectivity world, it is even more important that we go offline on a regular basis. Remind ourselves that it is ok not to update our social status so frequently. Connect with people one on one, face to face freely. Discover the beauty of slow, silence, and simplicity. Sip, not slurp. Savour, not devour. Slow, not speedy. Take time to smell the flowers.